We, at Manav Rachna, believe that the best way to learn is by doing and hence we took our children of Bloomz and Toddlers for a bus-ride on the occasion of ‘Go for a Ride Day’. The children were thrilled to have an opportunity to travel by bus; they definitely had fun, along with a wonderful experience of learning. The objective of this activity was to make the children aware of public transport, along with making them confident and responsible travelers. The children were also made aware of the safety measures to be adopted when travelling by a bus. The teachers also explained traffic signals and road safety signs to them (like Parking, No Parking, Hospital ahead, School ahead, Zebra Crossing, Footpath, etc.). Importance of keeping First Aid Box in the bus was also discussed with them. 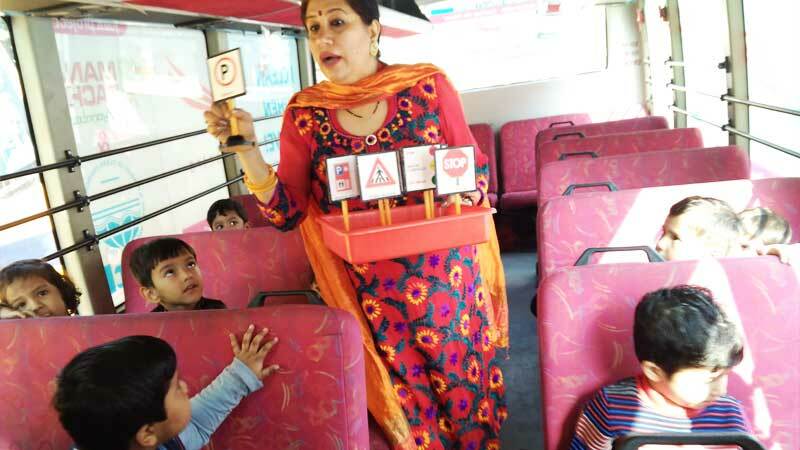 Teachers also explained to the little ones that making noise in the bus can distract the driver and that we should not stand or walk in a moving bus.